Everyone wants to climb the Buttes when they come to Sierra City, and it is a great reward on clear day You can see Mt. Lassen, a sliver of Mt. 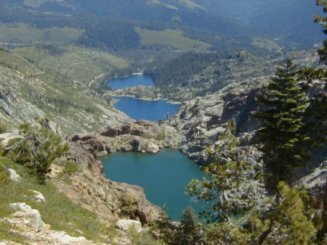 Shasta (150 miles distance), Desolation Valley wilderness west of Tahoe, the Sutter Buttes, Sierra Valley and the Coast Range in Lake County (Clear Lake/Cache Creek area) to the west.